The Freedom Plow Award for Poetry & Activism, made possible through the generosity of the CrossCurrents Foundation, recognizes and honors a poet or poetry collective doing innovative and transformative work at the intersection of poetry and social change. Our hope is that the prize, like our biennial poetry festival, will become an essential, enduring part of our mission to promote the growing field of art and social activism on a national level. Also like the festival, the Freedom Plow Award for Poetry & Activism is presented every other year. Recipients receive $3,000, a beautifully designed award, and extensive attention to their work. We celebrate the selected recipient and finalists at a gala ceremony and reading. 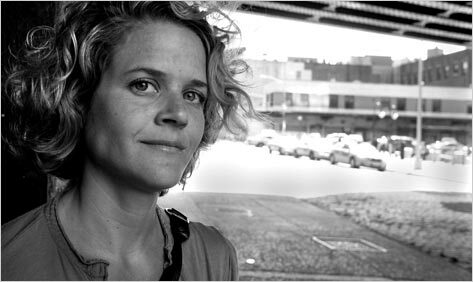 The inaugural award was presented in 2013 to Eliza Griswold for her work gathering, translating, and publishing the folk poems of Afghan women, who often write despite great risks to their personal safety. The inaugural ceremony also honored the four finalists: Jorge Agueta, poet and Director of Talleres de Poesia; Elana Bell, poet and educator with Seeds for Peace and Poets in Unexpected Places; Tim Z. Hernandez, poet and creator of "All They Will Call You"; Wang Ping, poet and Director of Kinship of Rivers. Photos and the video slideshow from the 2013 ceremony can be viewed at Blog This Rock, along with a write up on the evening. The 2015 award was presented to Mark Nowak for his work fostering the voices of workers and bringing the stories and voices of workers to the center of poetry and public life. The three finalists, Black Poets Speak Out/Mahogany L. Browne, Jonterri Gadson, Amanda Johnston; John Lee Clark; and Bob Holman, were also celebrated with a multimedia presentation during the ceremony. Reflections on the ceremony, with photos and video, are also available on our blog. 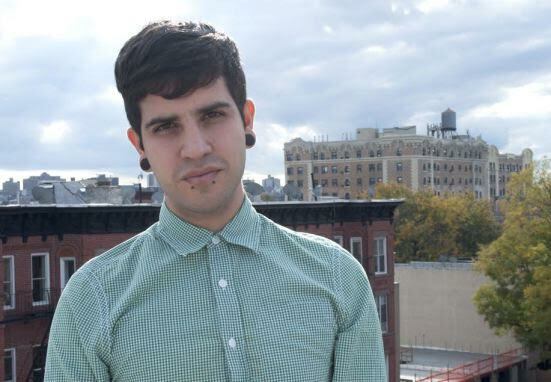 The 2017 award was presented to Christopher Soto (aka Loma) for his work supporting queer homeless youth and voices of undocumented poets through his #Undocupoet Campaign. The three finalists, Andrea Assaf, founding Artistic Director of Art2Action; Francisco Aragón, Director of Letras Latinas; and JP Howard aka Juliet P. Howard, founder and curator of Women Writers In Bloom Poetry Salon, were also celebrated and presented during the ceremony. Reflections on the ceremony, with photos and video, are available on our blog.